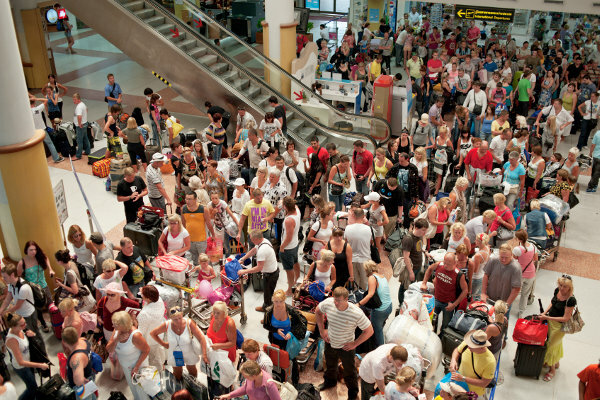 Does Travel Insurance Cover Airline Strikes? 'Strike!' There's only one place where it's good to hear that word, and it's not when you're getting ready to go away on holiday. Anyone who's had the misfortune to be caught up in an airline strike will tell you that it more often than not spells flight cancellations, delays, queues, chaos and misery. But if you are at the bitter end of industrial action before or after your holiday, what are you entitled to and what help will Travel Insurance provide? Whilst the airline is responsible for your travel arrangements, it isn't liable for any losses you might incur for additional arrangements that you've made for your trip, such as your hotel and car hire - that's where travel insurance comes in. Travel Insurance cover for strikes or industrial action will vary depending on your insurer, however in general your policy should provide cover for travel delay and travel abandonment due to strike action. To benefit from such cover, it's vital that you booked your holiday and bought your travel insurance before strike dates are announced. After the strike has become public knowledge, you won't be able to buy travel insurance to cover it. 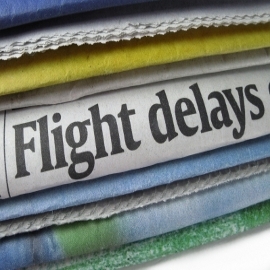 Travel Delay: This provides a fixed benefit for every 12 hours that you are delayed and is designed to help you cover the cost of additional expenses such as food and drink whilst you are waiting at the airport. This can vary depending on your policy so make sure you check the policy wording document. Travel Abandonment: If your flight incurs a long delay, usually 12 or 24 hours, some Travel Insurance policies will give you the option to 'abandon' your holiday and make a claim for the cost, up to the amount specified in the cancellation section of the policy. Again, this varies by policy and not all insurers provide this option. If you want to claim against strikes it's worthwhile reading the policy wording to make sure that you comply with the terms and conditions of your policy. Common conditions include that you must have checked in for your flight in order to demonstrate your intent to travel. Similarly, you may need to obtain a letter from your airline to confirm the reason for delay/abandonment. Your Travel Insurance won't cover you for your flight being cancelled. Under European Law, it is the airline's responsibility to provide alternative assistance to passengers faced with flight delays. Such assistance includes providing alternative travel arrangements, food and drink, overnight accommodation where necessary or a full refund. However, these rights only apply to those passengers flying from an EU airport or from an airport outside the EU to an EU airport on an EU carrier. Does Travel Insurance Cover Flight Cancellations?